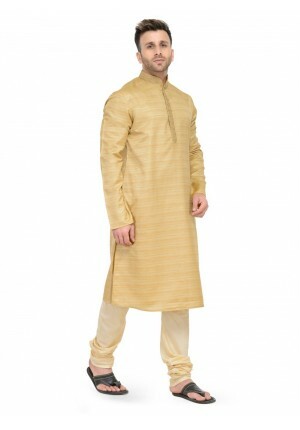 Kurta Pajama is an integral part of traditional clothing for men. It is perhaps the most comfortable attire in a man’s wardrobe. Mohanlal Sons’ Kurta Pajama comes in an exhaustive range not only for special occasions, but also for daily wear. 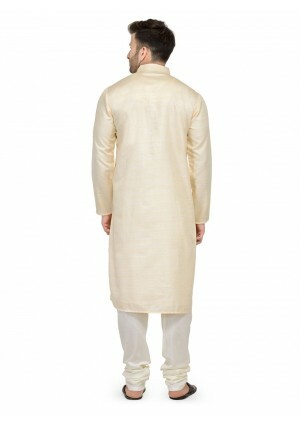 Daily wear kurtas come in premium cotton & linen fabrics and are available in a wide range of colors. 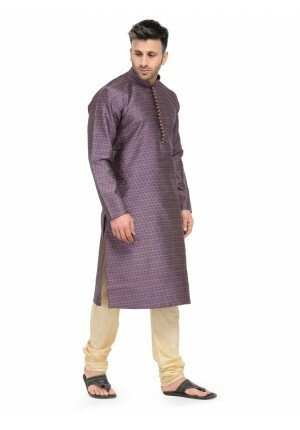 Party wear kurtas are available in a variety of silk fabrics & colors. Kurta Pajamas can be accessorised with a stole or a Jawahar Jacket for an elegant look. 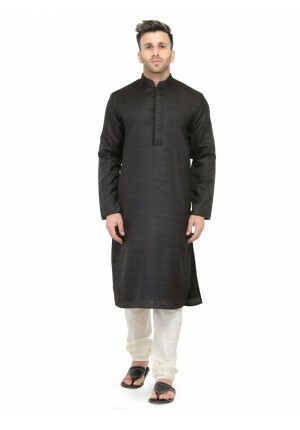 This is black color kurta pajama made using Silk fabric with Churidar pajami. This kurta pajam.. 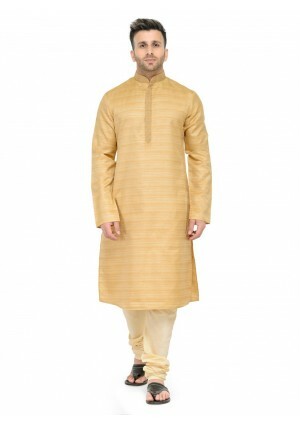 This is Fawn color kurta pajama made using Silk fabric with Churidar pajami. 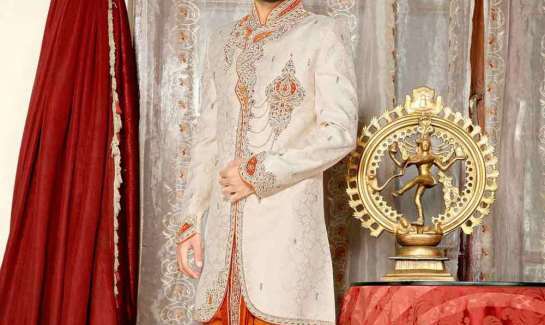 This kurta .. 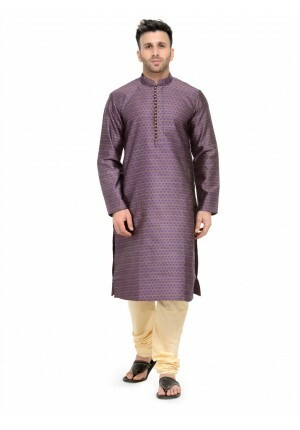 This is Purple color kurta pajama made using silk fabric with fawn Churidar pajami. This kurta pajam.. 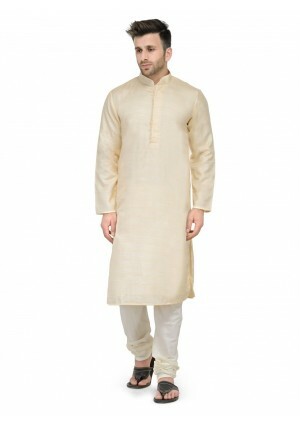 This is Beige color kurta pajama made using silk fabric with Churidar pajami. This kurta pajam.. This is Black color kurta pajama made using Silk fabric & Mughal embroidery work on neck with Ch.. This black angarkaha kurta made out of dupion fabric with asymmetrical pattern pleats design given a.. 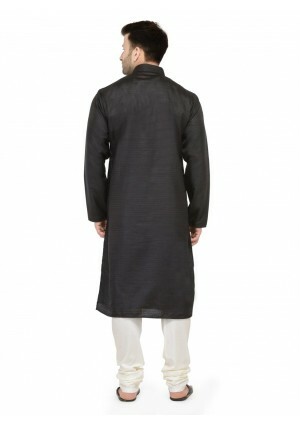 Stylish black kurta made out of cotton fabric with all over pleats given at front and silver button'.. Very elegant black kurta made out of dupion fabric with contrast stitchline at collar,placket ..
A Blue color kurta made from cotton silk is an elegant and stylish addition for your ethnic wear war.. This is blue color kurta pajama made using Silk fabric with Churidar pajama. 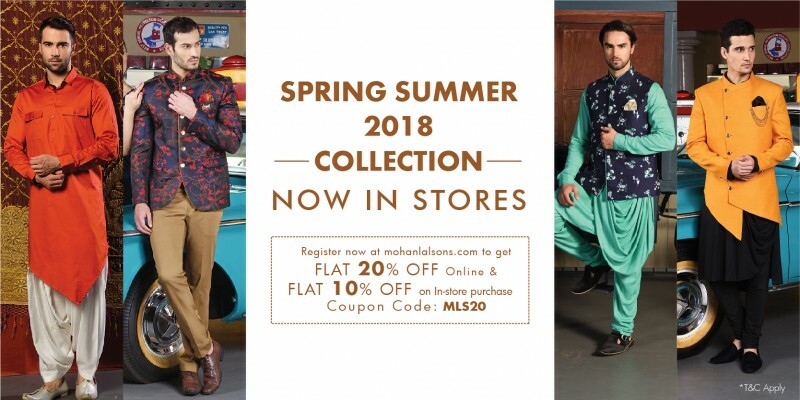 This kurta pajama.. This Navy blue angarkaha kurta made out of dupion fabric with asymmetrical pattern pleats design giv..